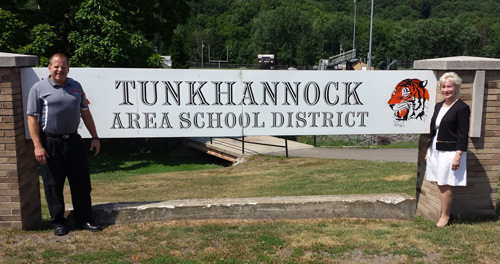 HARRISBURG – Rep. Karen Boback (R-Lackawanna/Luzerne/Wyoming) invites all residents of the 117th Legislative District to attend her Senior Expo, which will be held on Wednesday, Aug. 3, at the Tunkhannock Area High School from 10 a.m. to 2 p.m. This is a free event. Please note this year’s new location. This year’s expo will feature several seminars, including Home Ownership in Tough Times, Power of Attorney and Living Will, Alzheimer’s Education and Outreach for Caregivers, Personal Safety, and an Update on the Latest Scams. These seminars will be led by officials from Pennsylvania’s state agencies, the Alzheimer’s Association and Attorney Ron Santora. “Our annual Senior Expo is a wonderful event which brings together seniors and local resources. I encourage seniors and caregivers to attend our expo to learn about ways to improve their quality of life,” said Boback. Exhibitors from area health care organizations, veterans service groups and other state and local agencies and organizations will be on site to provide seniors the opportunity to learn more about services and activities available to them. Health-related screenings will also be offered. A drug-drop box will be available for the safe disposal of expired prescription drugs. No registration is required to attend. For additional information about Boback’s senior expo, contact her district offices at 570-836-4777 or 570-675-6000 or visit RepBoback.com.